Missouri Attorney General Josh Hawley has filed a motion opposing a move by Ripley Entertainment and Branson Duck Vehicles to move the suit against them from state to federal court. 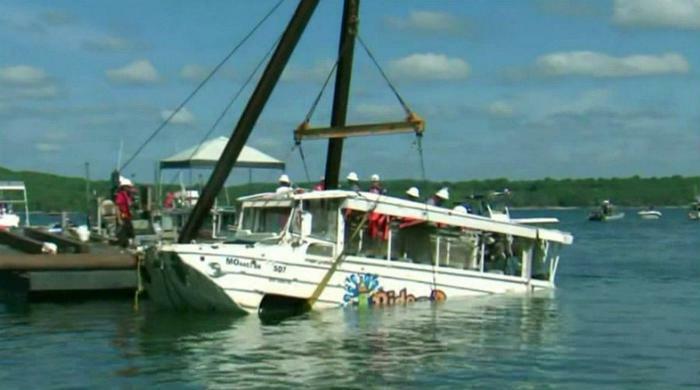 The two companies are defendants in the state's lawsuit in connection with the tragic sinking of a duck boat in Branson, Missouri in July that claimed 17 lives. Hawley responded to a motion by the defendants to dismiss the case in state court and move it to federal court. The two companies face charges of violating Missouri's Merchandising Practices Act, the state's primary consumer protection law. Hawley previously filed a motion to bar the companies from operating duck boats in Missouri. He also cited what he said were numerous safety violations in the accident. The duck boat sank when it encountered a storm with high winds, producing large waves on the lake. The boat took on water and sank before many of the occupants could get off. In the aftermath of the accident, a St. Louis-based private vehicle inspector said he warned the company there were design flaws in the amphibious vehicles that increased their danger of sinking. In a 2017 report, Steve Paul of Test Drive Technologies warned the craft's engines and pumps could be prone to failure in rough seas. Normally, the duck boats are operated on calm lakes. In unusually harsh language, Hawley's motion accuses the defendants of "misleading statements, fraudulent concealment, and unfair trade practices in connection with commercial operations." Because the Coast Guard has no regulatory authority over the companies, Hawley says state consumer laws apply. The defendants have called Hawley's lawsuit against them "irresponsible." Ripley Entertainment issued a statement in response to the attorney general's motion, saying it was disappointed by Hawley's "inflammatory language.